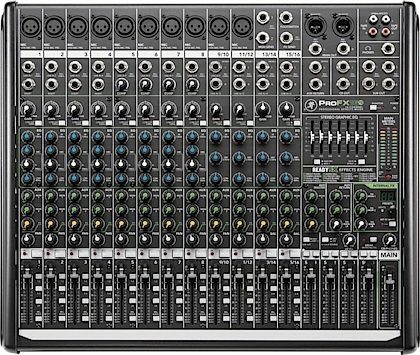 The Mackie ProFX16 v2 provides a comprehensive live sound solution with 16 channels. Delivering unmatched sound quality, ProFXv2 features Mackie Vita preamps, which are virtually noiseless and designed specifically for the highly dynamic world of live sound. ProFXv2 also includes the immensely powerful ReadyFX effect engine, harnessing floating-point DSP to deliver 16 rich effects that elevate any performance. 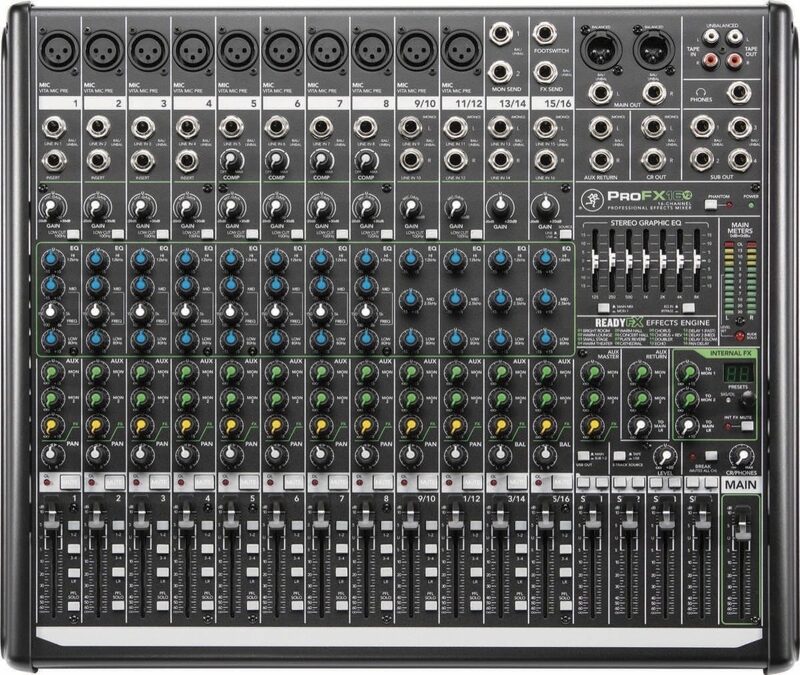 The ProFXv2 no-compromise live sound toolkit includes a room-shaping GEQ, flexible I/O and a built-in 2x2 USB interface for hassle-free recording/playback. With a rugged steel chassis and unmatched sonic performance, ProFXv2 is truly the life of your live mix. Overall: It is performing well in a rehearsal environment but seems to built pretty light (cheap). I would probably not take it on the road without a back up. As they say, "Things are not built like they used to be". 10 of 18 people (55.56%) found this review helpful. Did you? "Not what they used to be"
Overall: Mackie has dropped the ball... Sorry to say it. Unless you are a pod caster that only wants so so sound quality. 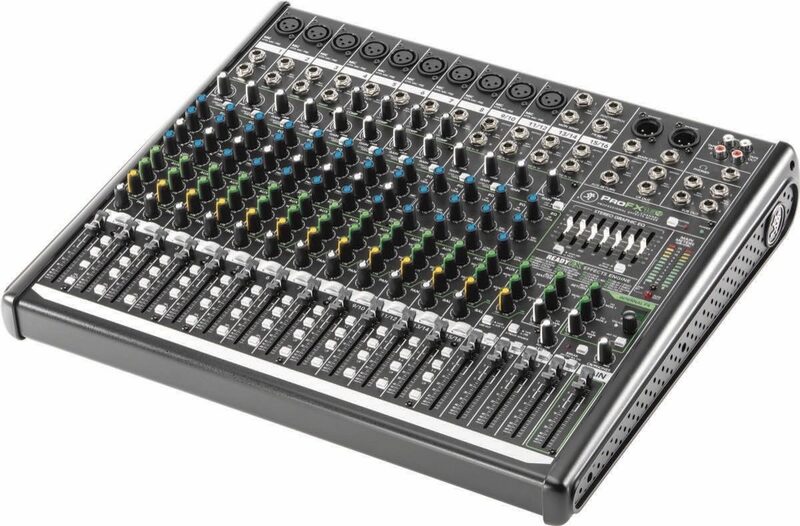 Take a closer look at Yamaha mixers this Mackie does not even compare. 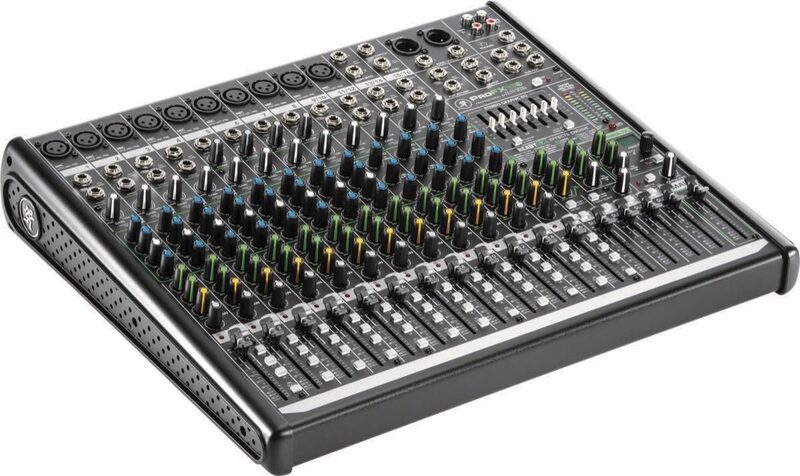 it was quite a shock in the quality of sound I got from my new mg20xu and this Mackie mixer. Pre amps are junk you have to crank gains over 75% to get anything out of even a shure sm58 mic.